← A Love of History: Nature or Nurture? Yes!! Wilson Lumpkin was a polarizing figure in Georgia politics. His enemies really disliked him, while his supporters adored him. 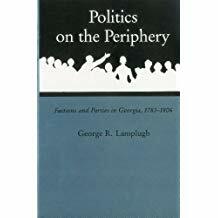 I found this puzzling at first, because the idea of moving Georgia’s Native American inhabitants west of the Mississippi River was not controversial among white Georgians at the time: while there were occasional spats about means, the end to be achieved, Indian removal, enjoyed broad support across party lines. So, what was it about Wilson Lumpkin that made him such a controversial politician? To his foes, Wilson Lumpkin was an opportunist of the first water, a perpetual candidate who wouldn’t have known a political principle if it bit him on the leg. While “patriotic” Georgians were fighting and bleeding during the War of 1812, his critics charged, Lumpkin stayed home and nursed his political fortunes. In the eyes of his political opponents, Lumpkin’s early support of Andrew Jackson for President in 1824 was disloyal to Georgian William Harris Crawford, who was seeking that office himself. Moreover, critics asserted, when he pardoned two missionaries imprisoned because they refused to take an oath of loyalty to Georgia in order to keep their posts among the Cherokees, Governor Lumpkin betrayed the concept of “state rights” developed by one of his gubernatorial predecessors, George M. Troup. According to the political opposition, Lumpkin also was all over the map on the doctrine of Nullification, posing as an opponent of John C. Calhoun’s theory but practicing Nullification by ignoring John Marshall’s pro-Cherokee ruling in Worcester v. Georgia. (1832). Finally, despite the popularity of Indian removal in Georgia and much of the South, observers outside the region took frequent editorial potshots at Governor Lumpkin, refusing to credit his sincerity in claiming to “protect” the Cherokees and their culture while at the same time forcing them beyond the Mississippi. As for refusing to support fellow Georgian William H. Crawford for President in 1824, Lumpkin averred that he knew that Crawford’s health was too precarious for him to discharge the duties of the presidency (he’d had a stroke, the severity of which was kept from the public). 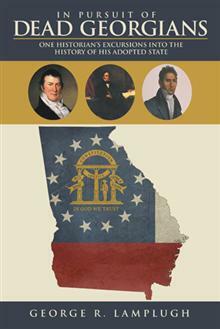 Lumpkin ran as a Jackson elector in 1824, and, though he lost, the experience brought him closer to the pro-Jackson Clark Party, whose head, General John Clark, had no love for William Crawford, titular leader of the state’s other party. When Jackson finally was elected President in 1828, Wilson Lumpkin was a prominent Georgia Jacksonian, while many in the opposition Crawford-Troup party ultimately moved into the camp of the anti-Jackson Whig Party, though they refused officially to adopt the Whig name as their own until after 1840. 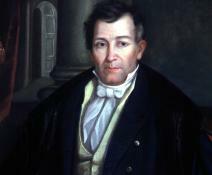 Winning a congressional seat in the fall of 1826, Lumpkin used the period between his election and the start of the new Congressional term to study the issue of Indian removal and prepare himself for his “particular mission.” He believed that no system of internal improvements could be put in place until what was called “Cherokee Georgia” was inhabited exclusively by white citizens, and he contended that the biggest obstacle to Indian removal was the activity of Cherokees “composed mostly of mixed breeds and white bloods.” (I, 42) Lumpkin and others in the removal camp, including future President Andrew Jackson, were constantly frustrated that those darn Cherokees could not understand how removing west of the Mississippi River would preserve their tribal culture by separating them from whites and putting them under the benevolent control of the federal government. 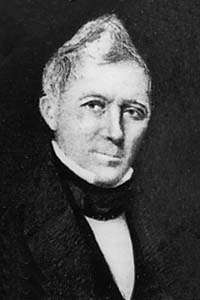 When Wilson Lumpkin took his seat in Congress, he wangled an appointment to the House Committee on Indian Affairs and, in December 1827, introduced an Indian removal resolution. Adoption of that resolution won him support in Georgia and in other states with Indian “problems,” but it also stirred up, according to Lumpkin, “Northern fanatics, male and female,” who launched a petitioning movement to block Indian removal that maligned Georgia and Congressman Lumpkin. (I,47) Still, convinced that Andrew Jackson would be the next President, Lumpkin waited patiently. Re-elected to Congress, he spent additional time boning up on the removal issue, convinced that he was “laboring in the cause of humanity, and to promote the best interest of the Indian, as well as the white race.” (I, 49) This time, the Indian Affairs committee submitted an elaborate report and an Indian Removal Bill, a measure Lumpkin championed in debate, while warning that, if Congress did not pass the bill, Georgia was prepared to go it alone, as she had five years earlier in dealing with the Creeks. Congress narrowly approved the Indian Removal Bill in the spring of 1830, and President Jackson signed it into law on May 28. Wilson Lumpkin found himself on the horns of a dilemma following his next re-election to Congress: while he hoped to continue his “particular mission” as a member of Congress, his “friends” in Georgia pressed him to resign his seat and run for Governor, arguing that he would be more effective on Indian removal in that office than in Congress. After performing a highly-publicized Hamlet act (“To be Governor, or not to be”), Lumpkin caved to his supporters’ pressure, entered the governor’s race, and was elected over incumbent George R. Gilmer by 1500 votes. When, early in his term, the U.S. Supreme Court summoned Georgia to defend its policy towards the Cherokees, Governor Lumpkin informed the legislature that he would disregard the Court’s order on state rights grounds, terming it “Federal usurpation.” (I, 94) And his response was no warmer several months later, when John Marshall’s court handed down the Worcester ruling. 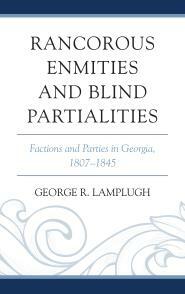 Volume II of Lumpkin’s memoir picks up the story when, after retiring as Governor, he was appointed a U.S. Commissioner to implement the controversial Treaty of New Echota (1835), signed by a small minority of tribal leaders but accepting removal, and therefore recognized as legitimate by both Georgia and the Jackson Administration. The rest of the second volume follows the process of Indian removal through the forced departure of the Cherokees from Georgia in 1838, during the Van Buren Administration. Becoming reacquainted with Wilson Lumpkin was definitely an acquired taste. I am willing to concede that he was sincere in his view of the Cherokees, and I’ll even accept his statement that he worked hard to familiarize himself with the issue of Indian removal, but clearly he had made his mind up on the question long before his election to Congress. By his own admission, he was already convinced that the Cherokees must leave Georgia when he visited tribal leaders in 1825, and he pushed that view unwaveringly over the next fifteen years, until his “particular mission” became a reality. So give the Governor an “A” for consistency. It is important to remember, though, that Lumpkin’s view of the Cherokees was shared by many whites, including President Andrew Jackson, which both bolstered Governor Lumpkin’s confidence and doomed the Cherokees. The insistence of Georgia whites that Native Americans must be forced out of the state had many causes. The main one was the so-called Compact of 1802, whereby the state sold the “Yazoo lands” (roughly, modern-day Alabama and Mississippi) to the national government, in return for a pledge that Washington would eliminate tribal land claims in Georgia when that could be done peacefully and on reasonable terms. Numerous treaties were concluded with the Creeks and Cherokees after 1802, but this piecemeal process was too slow for land-hungry Georgians caught up in the burgeoning cotton economy’s demands for fresh fields to be exploited. The discovery of gold in the Cherokee region of North Georgia was simply the last straw. While it is certainly not necessary for historians to accept the world view of white Georgians in the early nineteenth century regarding Native Americans, it is crucial that they understand it and take it seriously. Only then can the historian establish the full context for the decades-long drive to oust the Creeks and the Cherokees from Georgia. 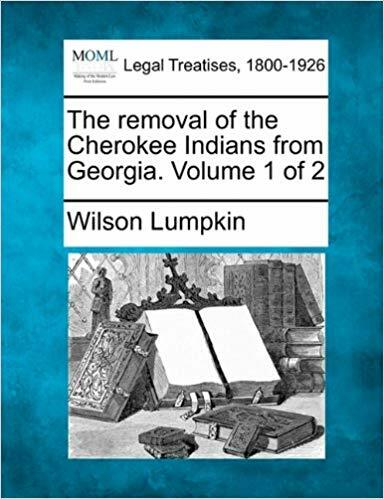 One of the richest sources for viewing Antebellum Georgia through the eyes of an intelligent, articulate, and politically significant figure is Wilson Lumpkin’s The Removal of the Cherokee Indians from Georgia. This entry was posted in Cherokee Indians, Georgia History, History, Research, Southern History, Wilson Lumpkin and tagged Cherokee Removal, Georgia History, Southern History, Wilson Lumpkin, WP Longform. Bookmark the permalink.